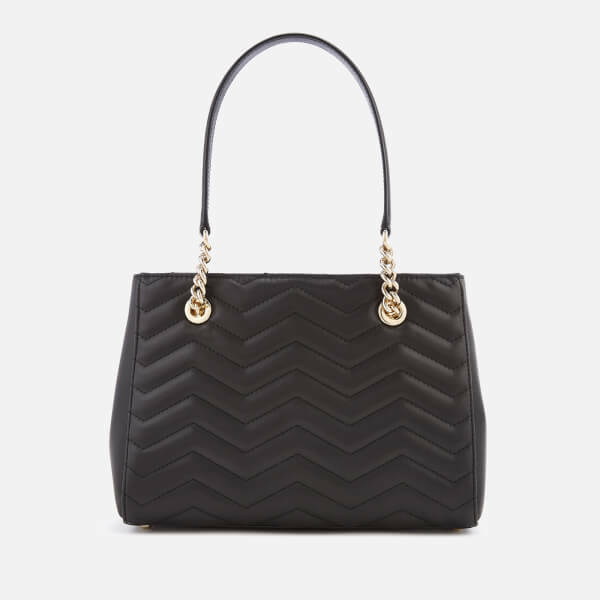 Sleek, structure and crafted from smooth leather with zig zag quilted detailing, the women’s ‘Reese Park Courtnee’ shoulder bag features an open-top design and triple-compartment interior with a central zip pocket. 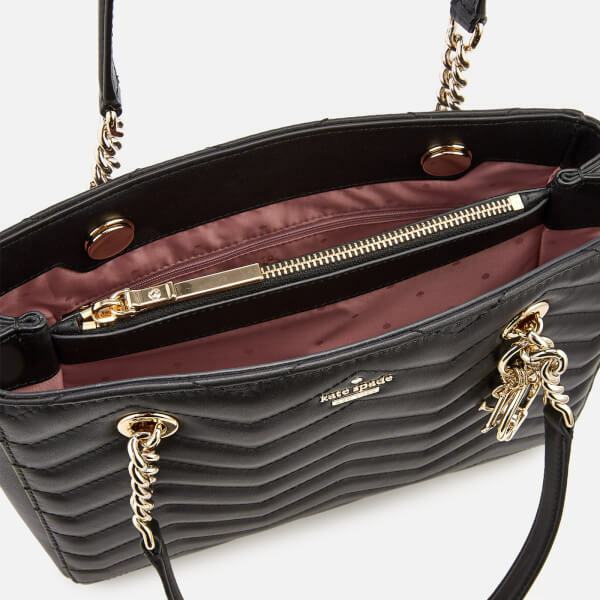 Lined in pink, satiny fabric and complete with a multitude of pockets for keeping essentials organised, secured and easily accessible, the bag features chain-trimmed leather handles. 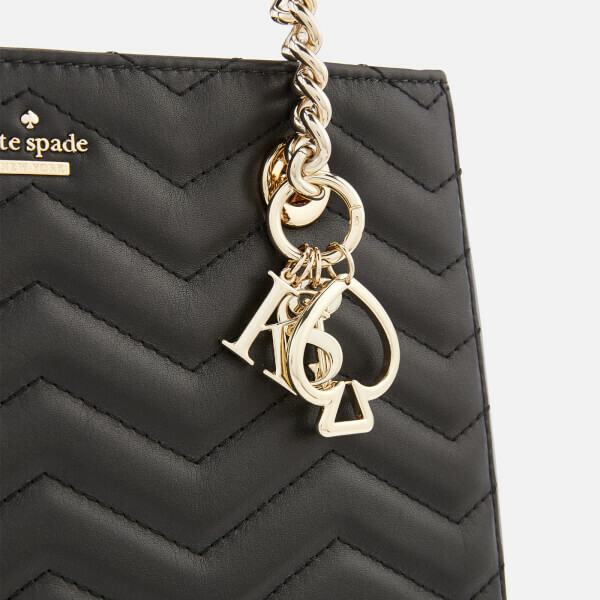 Pale gold-tone hardware including a Kate Spade New York charm embellishment and protective metal feet at the base elevate the design. Appliqué branding at the front. Dimensions: H: 22cm x W: 29cm x D: 11cm. Handle Drop: 19cm.